The winter is over and spring is in full bloom, and if history is any guide, Americans by the millions will be entering the homebuying market to see if they can finally find the house of their dreams. They're doing it at a good time, too, because the labor shortage that's ailed the construction sector for many years appears to be easing. Approximately 76 percent of metropolitan statistical areas (MSAs) in the U.S. saw growth in construction employment over the course of 2018, according to the Associated General Contractors of America. More specifically, of the 358 MSAs examined, hiring increased in 275 of them, with 44 unchanged year-over-year and a decline in 39. "Construction hiring rose in 275 of the 358 MSAs examined." Ken Simonson, AGC chief economist, noted that as encouraging as these numbers are, the pace has actually declined a bit, due mainly to the pool of out-of-work construction professionals getting smaller. "It will be hard to match this level of employment gains when the unemployment rate is setting new lows in much of the nation and job openings in construction are at all-time highs," Simonson explained. As housing starts soared in January, recent hires are not only back on the job, but making quick work of their newfound employment. Indeed, the month saw an annual rate of 1.2 million units get underway, the National Association of Home Builders reported, up nearly 19 percent from year-ago levels. Single-family unit starts were particularly robust in January, rising 25.1 percent to 926,000. 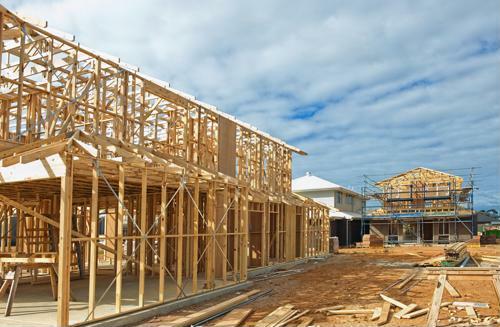 Builder confidence has also edged higher in recent months, a product of stronger rates of hiring within the sector as well as a steady pace of would-be buyers taking advantage of greater inventory. NAHB Chief Economist Robert Dietz pointed out that with more affordably priced properties dotting the nation's landscape, more first-time and entry-level buyers will get off the sidelines. This should also lead to ongoing recruitment among construction firms. Just as buying activity hasn't been uniform from one city to the next, neither has job growth. Over the past year, the Phoenix-Mesa-Scottsdale MSA saw the highest number of new openings within the sector, jumping 10 percent to a total of 12,300, the AGC reported. Four of the top five MSAs, from a jobs-added standpoint, were in the South, while the largest percentage gains were witnessed in Chico, California, and St. Cloud, Minnesota. National Association of Realtors Chief Economist Lawrence Yun stressed that while increased development activity is nice to see, the pace can't let up if more Americans are going to have the opportunity to buy at affordable price points. "More construction will help boost local economies and more home sales will help lessen wealth inequality as more households can enjoy in housing wealth gains," Yun said. Yun stressed that the housing market - and the U.S. economy as a whole - stands to benefit with additional housing, which would require builders to remain in hiring mode for the foreseeable future.